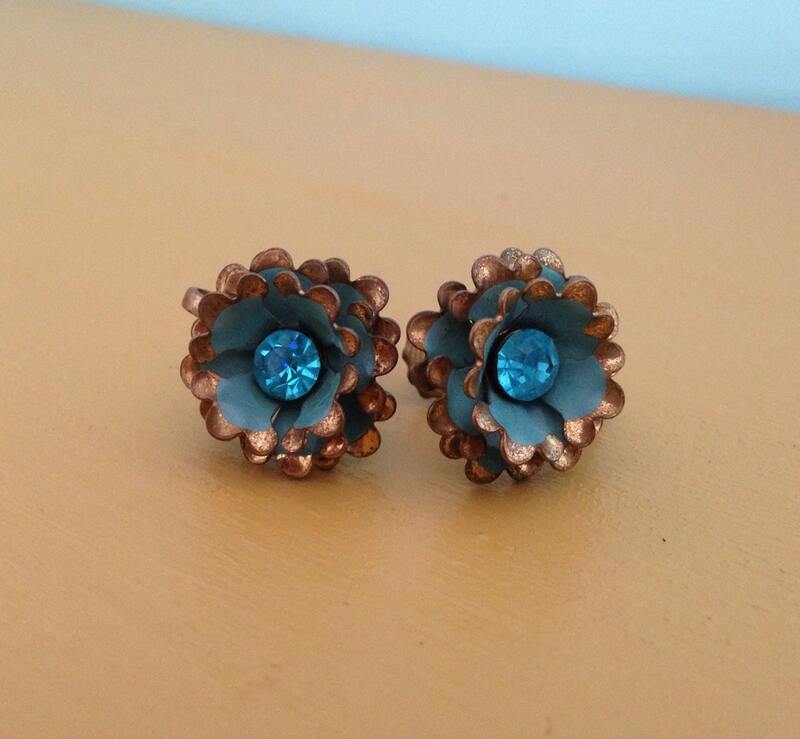 Beautiful pair of 1950s gold metal flower earrings with turquoise painted detail and gemstone in center. 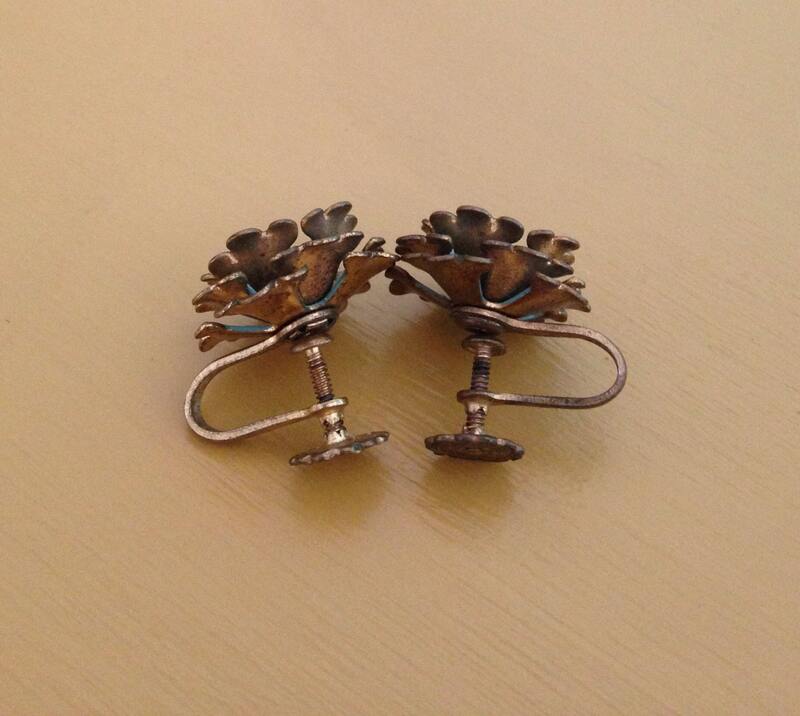 Great vintage condition; little to no wear from age & very, very light patina. Screw-back back; no rust with very little wear. Screws move up and down smoothly. Paint detail is bright with no fading; no scratches. Blue rhinestones are clear & bright.